AC Milan have reportedly dropped their interest in Rodrigo Caio while Daniele Baselli has emerged as an alternative option to bolster their midfield. 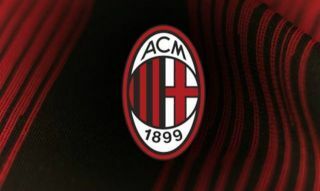 The Rossoneri exited the Europa League last week, and so their primary focus will now be on securing a top-four finish in Serie A to qualify for the Champions League. Given their injury troubles so far this season, Milan could certainly do with reinforcements in January with Lucas Biglia and Giacomo Bonaventura still sidelined. However, with Mateo Musacchio and Alessio Romagnoli returning to the squad over the past week, Calciomercato note that the need for a new defender has lessened, and Milan have reportedly dropped their interest in Sao Paulo ace Rodrigo Caio. Provided that their first-choice pairing now remain fit, and along with depth options such as Cristian Zapata and Ignazio Abate, it would appear to be a sensible option as the defence would no longer appear to be a priority. Meanwhile, the search for a midfielder goes on, despite the fact that Milan are set to complete the €35m signing of Lucas Paqueta next month, as per Sky Sport Italia. As noted by Calciomercato, Cesc Fabregas remains Milan’s top transfer target for that area of the squad, with the Spaniard struggling for regular playing time at Chelsea under Maurizio Sarri while his current contract expires at the end of the season. With that in mind, the Spaniard should potentially be available for either a cut-price deal in the New Year, or on a free transfer next summer. Nevertheless, the report adds that Torino’s Baselli could also be targeted as he offers a like-for-like replacement for Bonaventura, who underwent surgery earlier this month and is out until next season. While Paqueta will address the issue to an extent, Milan do lack creative quality and a goal threat through the middle. In turn, perhaps Baselli could be a solution with the 26-year-old bagging four goals and two assists in 16 appearances so far this season.